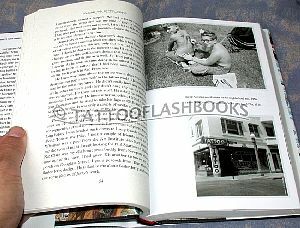 Please note: This is not an art or picture book, although it does contain a photo section in the middle. 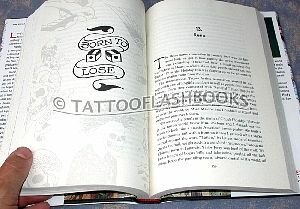 It is Don Ed Hardy's personal memoir, covering his beginnings in 1960s California to leading the tattoo renaissance and building his name into the hugely lucrative international brand it is today. 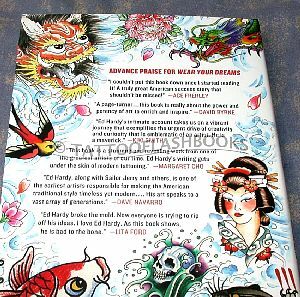 "Ed Hardy" is emblazoned on everything from t-shirts and hats to perfumes and energy drinks. 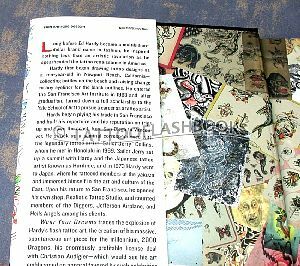 From LA to Japan, his cross-and-bones designs and ribbon-banners have become internationally ubiquitous. 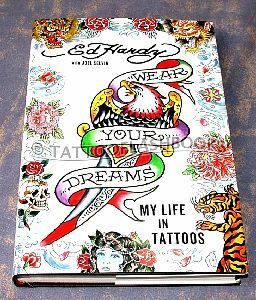 In Wear Your Dreams, Ed Hardy recounts his genesis as a tattoo artist and a leader in the movement to have tattooing recognized as a valid and rich art form, through to the ultimate transformation of his career into a multi-billion dollar branding empire. Hardcover. 293 pages. Measures 6 1/2" X 9 1/2"